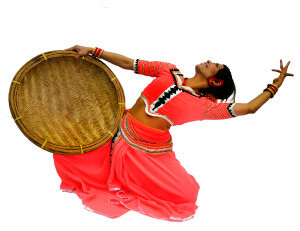 Celebrating the heritage of Sri Lanka by showcasing its intricate movements, the sounds of drum rhythms, and exquisite and elaborate costumes,SerendibDance takes the audience into an ancient world filled with traditions rich in culture. A Single Cycle of the Sun showcases the life of a village from the sunrise to sunset, filled with the art that exists in the making of daily chores, simple joys, and a community bound together through poetry, folk sonqs, dance, and prayer. Click Here to visit Asanga Domask’s website.